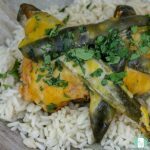 No one will ever guess that this slow cooker spicy chicken poblano is actually a freezer meal! The flavours are fresh. 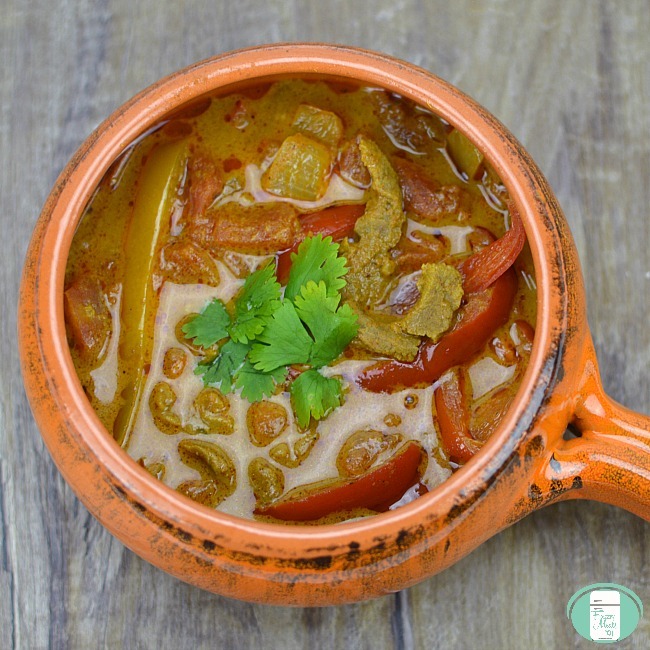 There is a nice kick to it and the spiciness can be adjusted to your tastes. 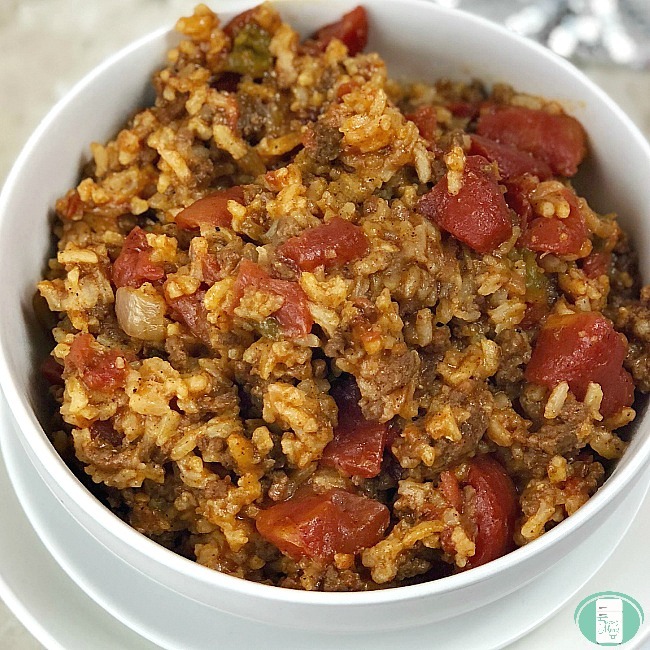 This recipe is keto friendly (low carb, no sugar) and gluten free if served on cauliflower rice. You can adjust the spiciness of this dish by the heat of the salsa you use and the cheese you choose to top it with. Slice the poblano peppers in long slices. Place the chicken breasts in a large resealable freezer bag or a reusable silicone freezer bag. Take out any excess air and seal the bag. Add the pepper slices, juice of the lime, the minced garlic, the jar of salsa, and salt and pepper. Place the shredded cheese in a medium sized freezer bag, seal and staple it (above the seal) to the other bag. Freeze. 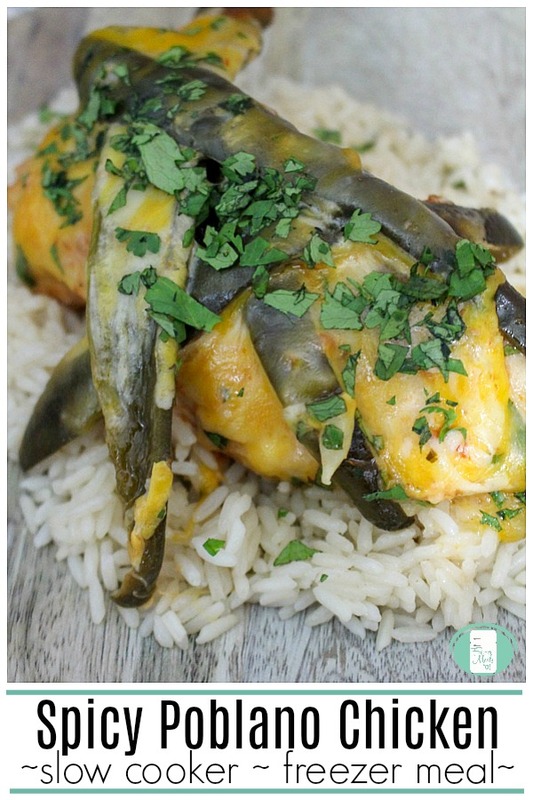 Take the poblano chicken meal out of the freezer to thaw. Dump the contents of the large bag (chicken and pepper mixture) into the crock pot. Set the slow cooker to low and cook for 4-6 hours. Top with the shredded cheese and replace the lid for 10 minutes to allow cheese to melt. What is a poblano pepper? When it’s dried, the poblano pepper is called an ancho chile. For this recipe, you’ll be using the fresh version of poblano peppers. Poblano peppers are on the milder side on the Scoville scale that measures the spiciness of peppers. They range between a 1,000 Scoville heat units to 1,500. For contrast sake, jalapeño peppers rate between 2,500 to 10,000 Scoville heat units. While the poblano pepper is considered quite mild, you can occasionally get one that’s quite hot. Like most peppers, there can be quite a range. You can find other freezer to crock pot recipes in our Slow Cooker Freezer Meal Plans. 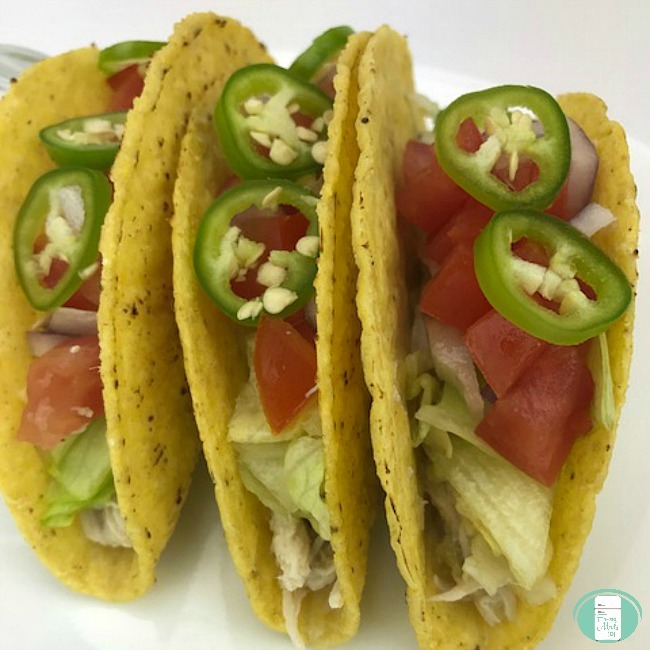 You’ll not only get the recipes, but also shopping lists, prep lists, and printable labels to take the guesswork out of weeknight meals. If desired, top with chopped fresh cilantro. Serve over rice.